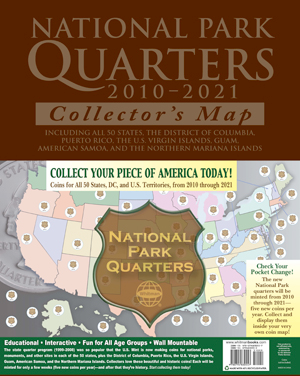 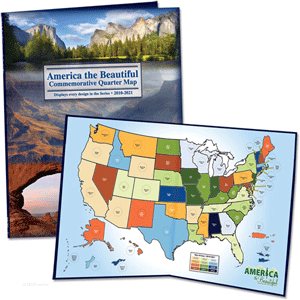 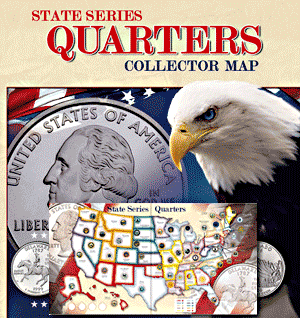 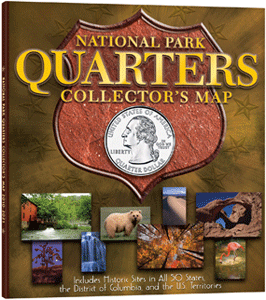 State Quarter Maps - an interactive way to collect Statehood quarters and National Park quarters. 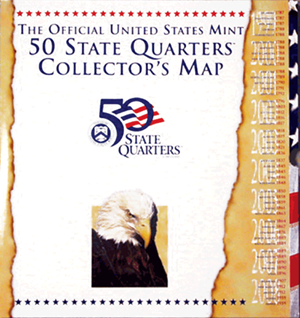 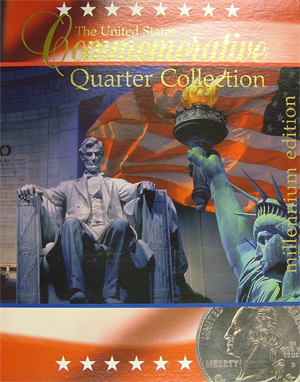 Statehood Quarters - 50 quarters minted 1999 to 2008, with an additional set of 6 territory quarters minted in 2009. 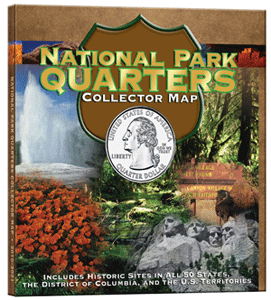 Not every map includes territory quarters so be sure to look if that it is important to you. 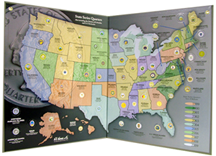 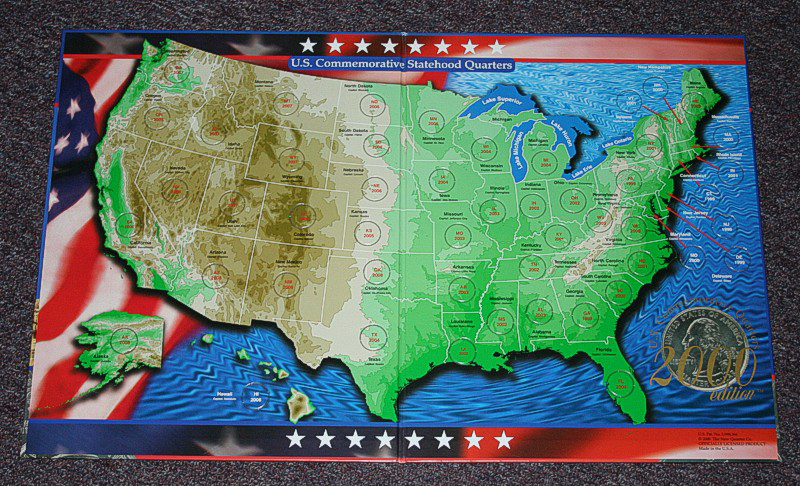 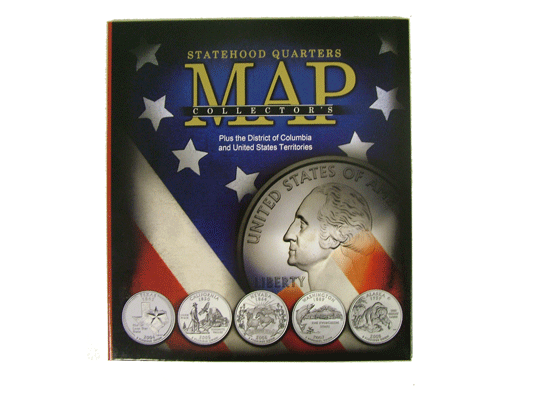 US Commemorative Quarter Map 13"x16 1/2"x5/16"